This week we have a new team member joining us at IDRsolutions. One of the first things we needed to explain to him was how we use Basecamp, as it has become central to how we manage and communicate. I thought it would be useful to answer some of the questions he asked us about how we use Basecamp. Basecamp is an online project management and communication tool. It can be used as a central place to share information, have general discussions and assign tasks. Why do we use Basecamp? As our team is spread over 2 offices and people often work remotely, it was really important for us to find a way manage and communicate effectively. This time last year, most of our communication was done by email. This was quite a messy way of doing things, as it was easy for important information to be missed or lost. It also meant that rather than getting work done we were spending all our time checking our inboxes. We were also spending a lot of time in meetings. After seeing Jason Fried speak at Business of Software last year, we decided to try out Basecamp. We wanted a way to find an easy standardised way to share information with everyone and it seemed to meet that requirement. How do we use Basecamp? 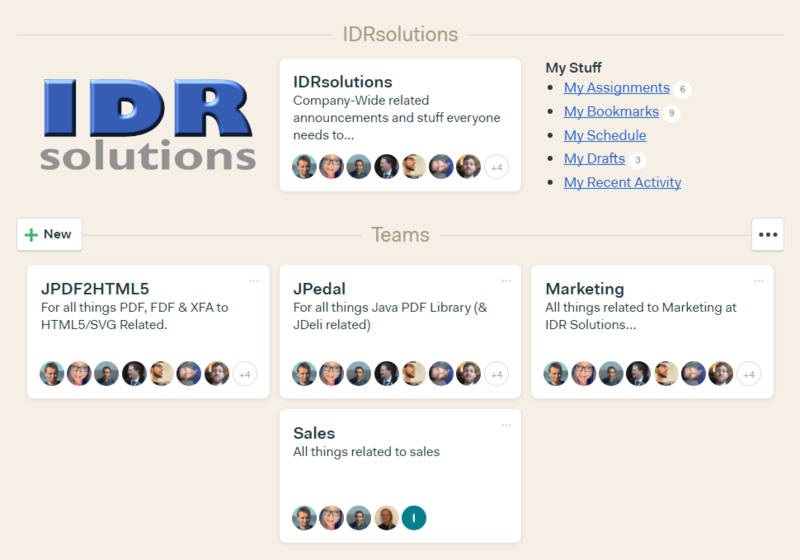 Basecamp can be split into multiple ‘teams’ and ‘projects’. For example we have a team for each of our main products that we develop, as well as a sales team and a marketing team. Projects are very similar to teams, but we use them for more specific areas such as conferences and quarterly reviews. In each of these teams and projects we have a ‘message board’, where we can post information and have discussions. Separating it out means that it is much easier to find information relevant to a particular area. It also means that people are not bombarded with information they do not need, as you can choose who has access to each team or project. Alternatively notifications can be switched off on a project by project basis, so you can have access to the information without having the interruptions. 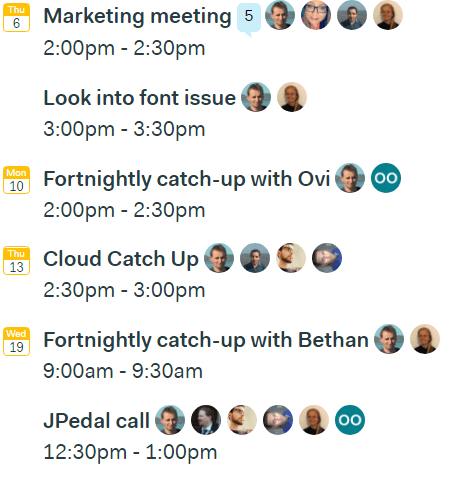 Basecamp also allows us to schedule meetings. Being able to communicate in one place has reduced the number of meetings we need, but if we do need one we can simply add it to the schedule. A feature on our wishlist is to be able to see meetings on schedules across multiple teams, to avoid double booking people. Each team or project has a ‘campfire’, which is a place for general discussions that don’t need to be documented in the same way as a message on the message board would. There is also functionality to send private messages called ‘pings’, either to individuals or multiple people. Automatic Check-Ins allow you to set up questions which are asked to specific people on a recurring basis. 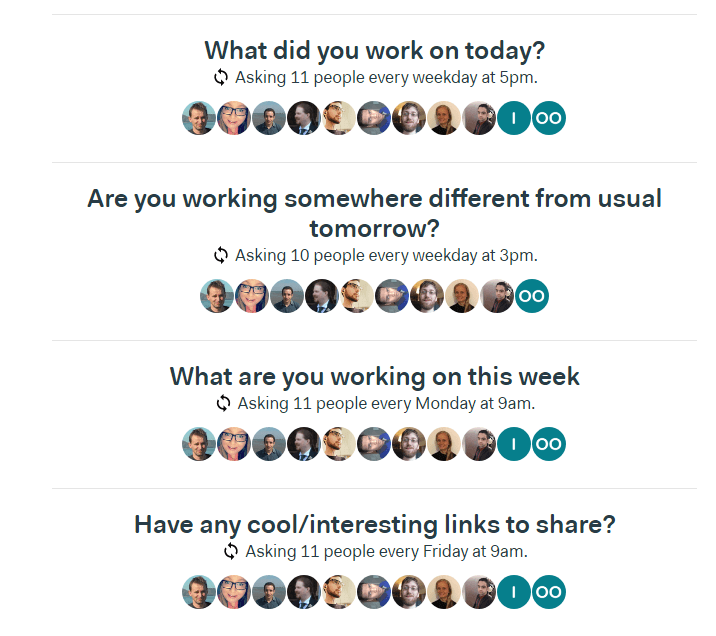 For example everyone answers the question ‘What did you work on today?’ This means that we all have a good idea of what changes are being made and what all our team members are spending their time on. How can I organise my day with Basecamp? I have my own personal project which I use to organise my day, which only I have access to. I have an automatic check-in asking me what I will work on tomorrow, so in the morning I simply refer to my answer from the previous day, allowing me to get straight into my work. Basecamp also allows you to create to-do lists, which are checklist items you can tick off when you have completed. These can also be assigned to other people. These are just some of the features we are using – you can also applaud people’s comments, bookmark pages and upload files. We use Basecamp to document many of our procedures in a ‘How We Do Stuff’ section. These include things like instructions on how to deal with support inquiries and technical documentation. This means that we are able to have a standardised way of doing things which people can refer back to. 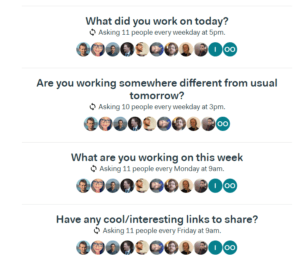 Overall using Basecamp has massively improved how we organise ourselves and communicate. Are you using Basecamp? What are your thoughts? I don’t mean to diss Basecamp, but come on, it’s 2017 and there are so many PM tools that are better AND free. Bitrix24 – free unlimited projects with Gantt, time tracking, client management, quotes and invoicing. Basecamp doesn’t have this even in paid plans. Asana – totally free for 15 people with unlimited projects. Trello – free and unlimited. I could go on and on. Asana and Trello are good too – we have tried Asana in the past and still use Trello, mainly for lists of items to discuss in meetings. What we like about Basecamp are features such as the private messaging and the automatic check-ins.